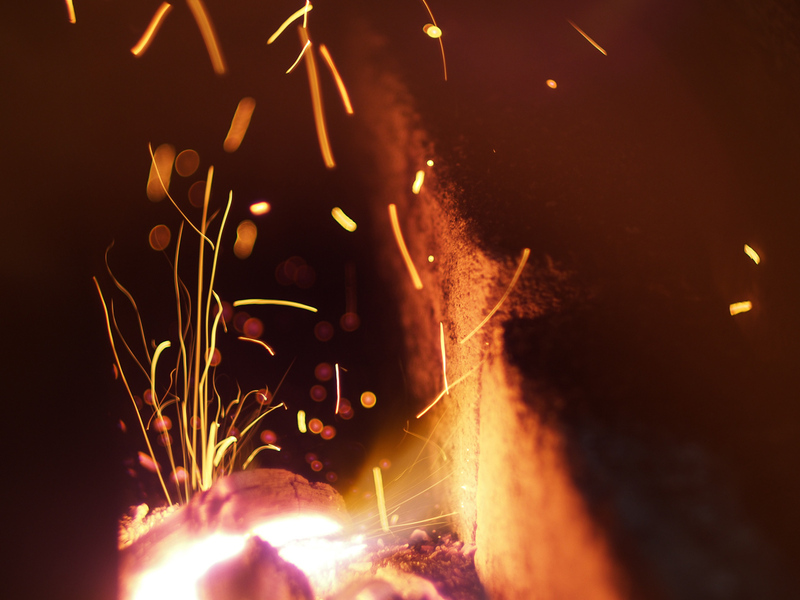 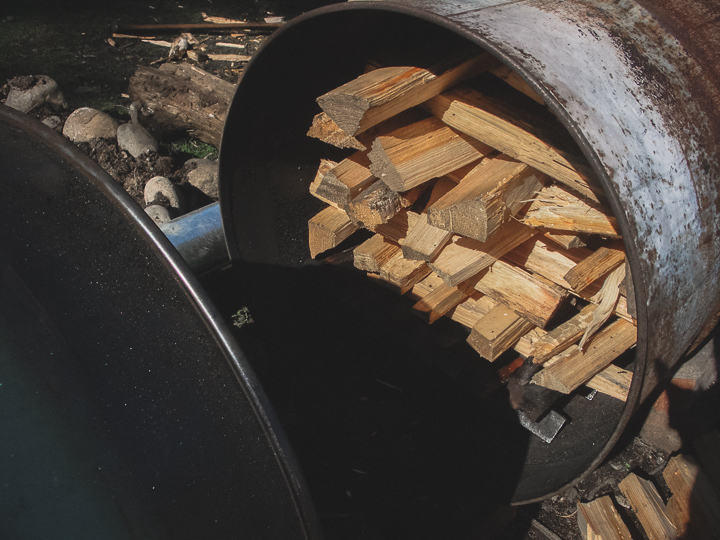 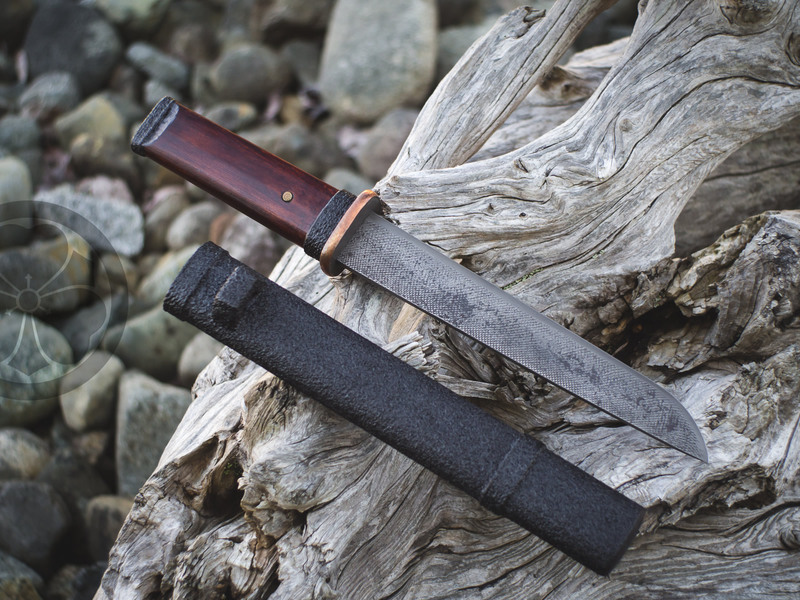 The best forge fuel for high carbon steel tanto is softwood charcoal. 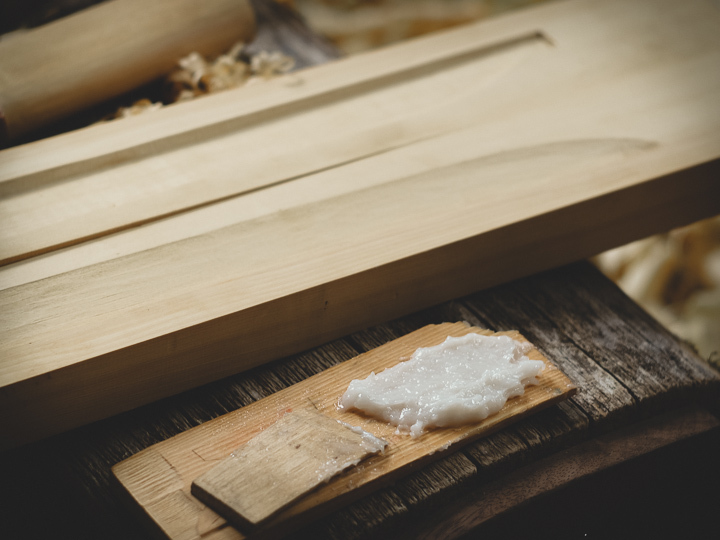 The raw material is scrap wood from local sources such as furniture makers, carvers, and foresters. 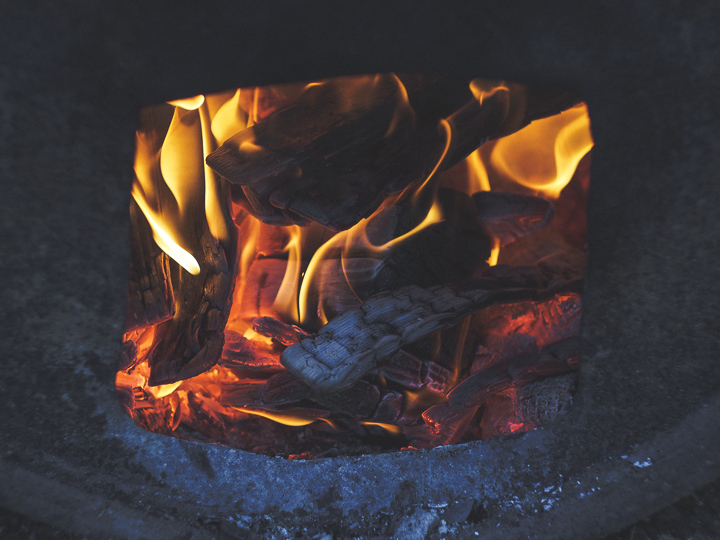 Once the homemade charcoal kiln is loaded, we tend the fire to cook the batch for several hours until the steamy smoke changes colour and then seal it for the night to cool down. 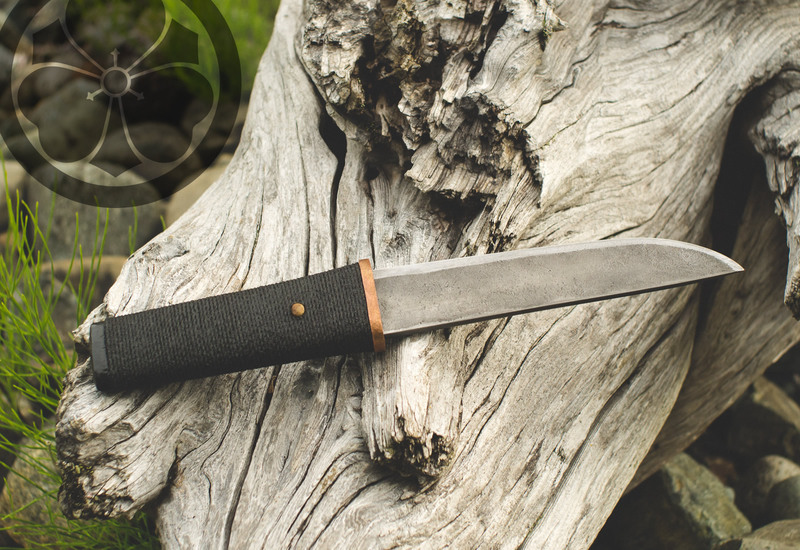 The blade steel is mainly curated from old homestead piles, this one formerly belonging to a blacksmith and farmer. 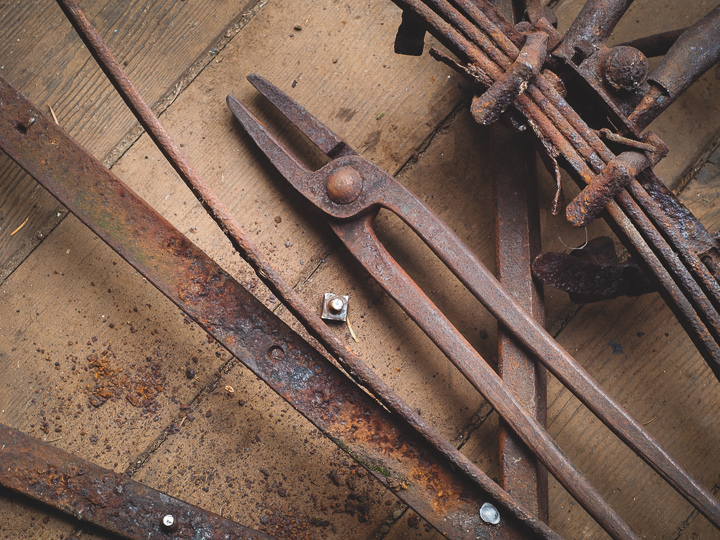 Old farm equipment and carriage spring steel make great blades. 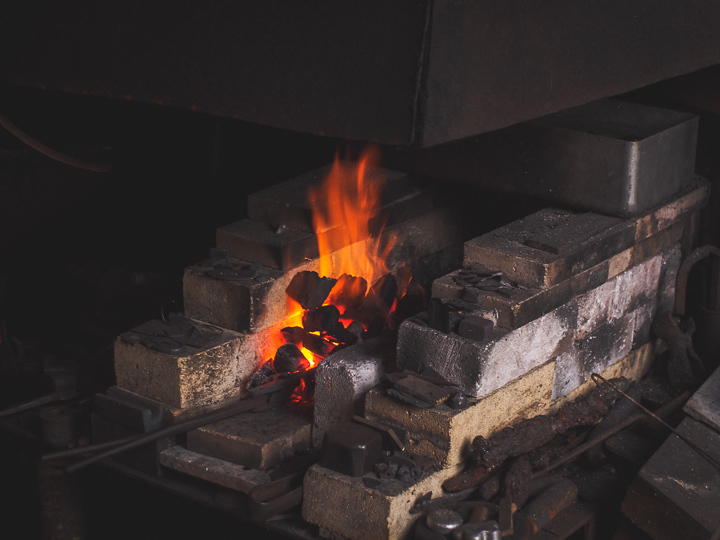 Potential blade steels are tested using several methods to determine their suitability and the best approach for heat treatment. 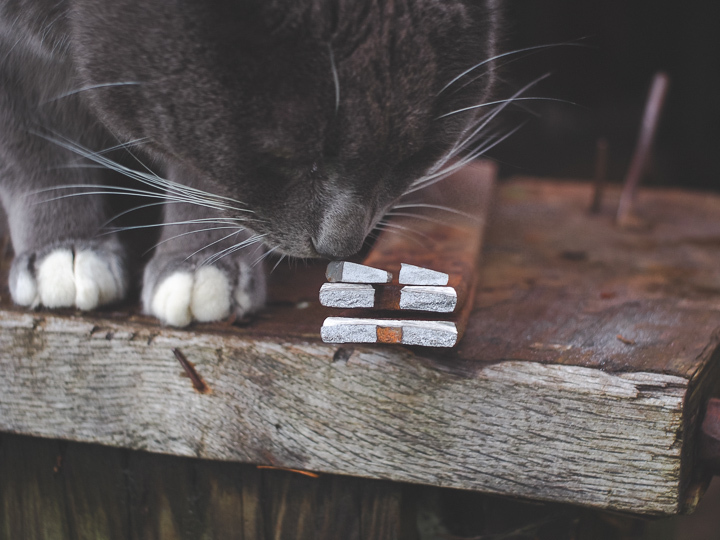 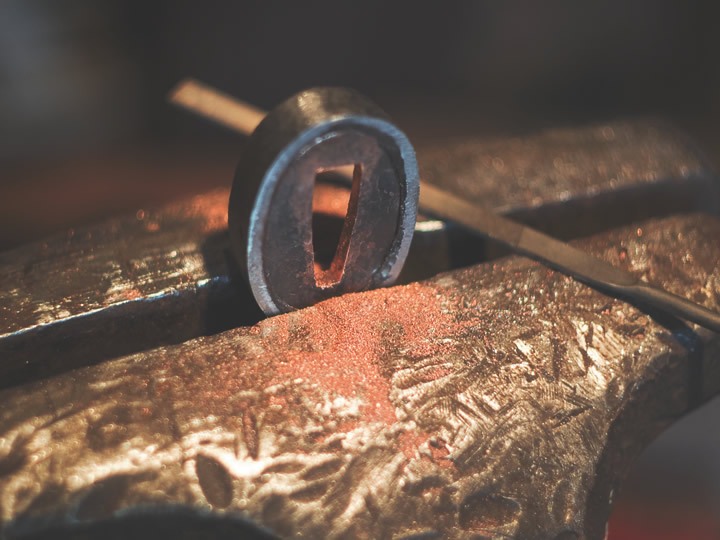 The older, lower alloy steels are preferred by our inspectors. 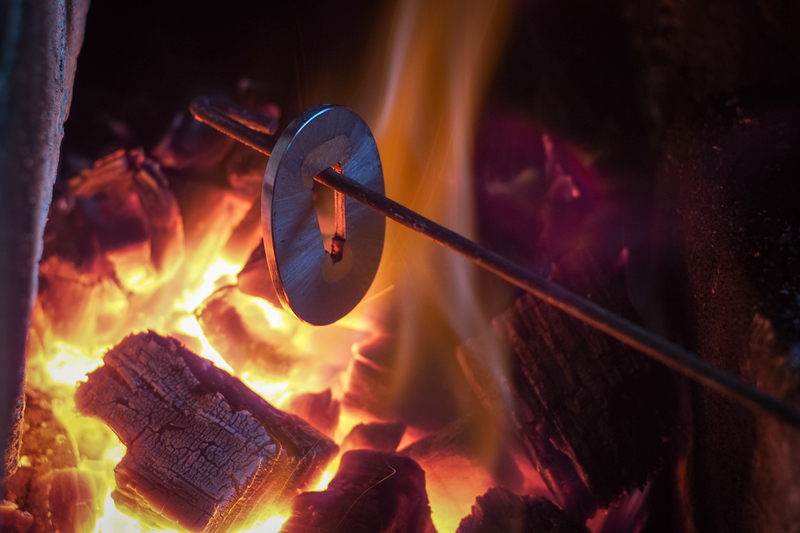 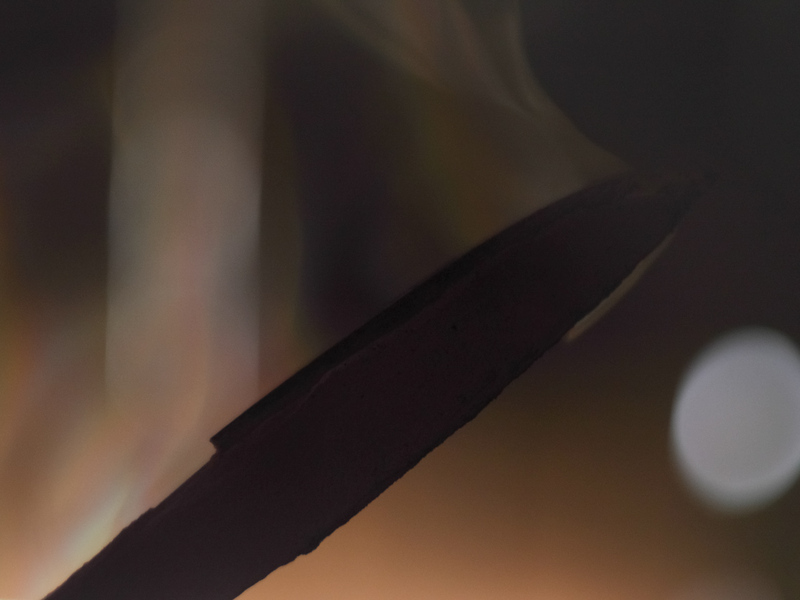 The elemental simplicity of a brick charcoal forge supplied with air from a hand powered wooden fuigo box bellows forms the starting place for the shaping of a blade. 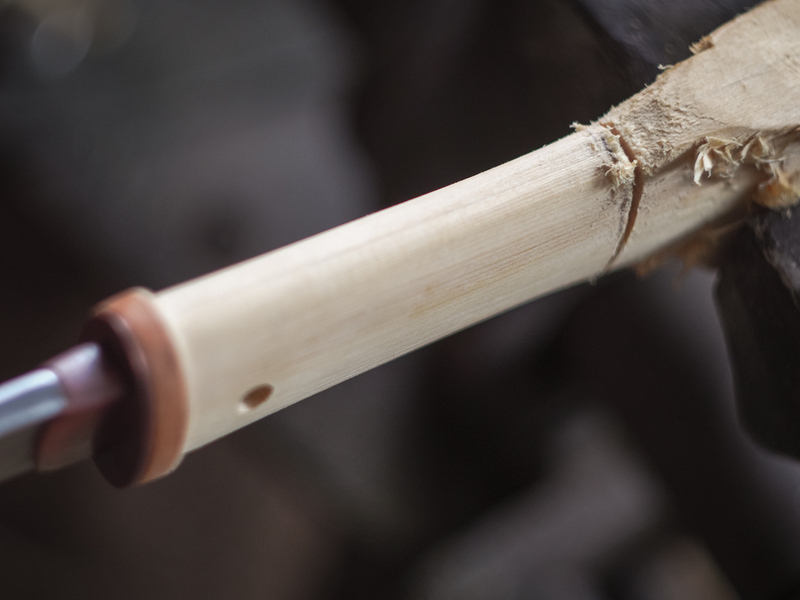 Most of the shaping can be done with well-placed blows from a hand hammer. 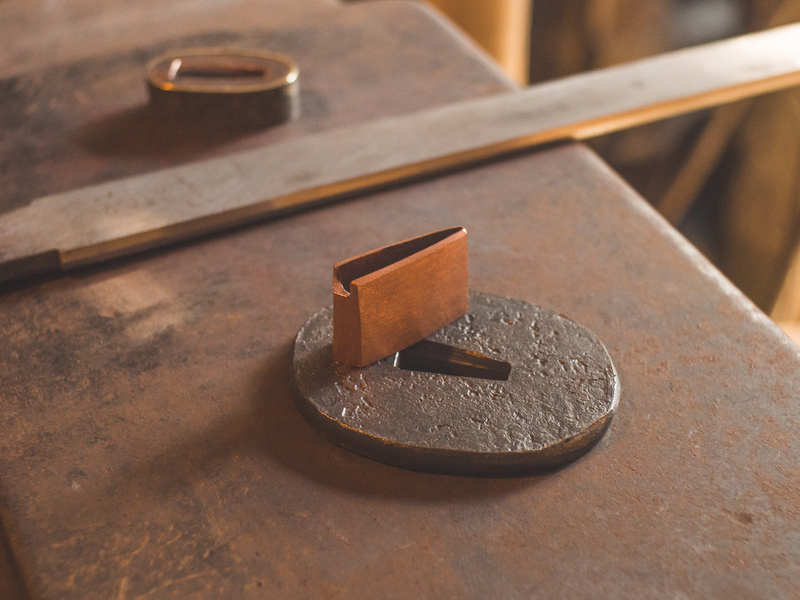 Accurate forging makes the quickest and most efficient use of an entire piece of reclaimed steel. 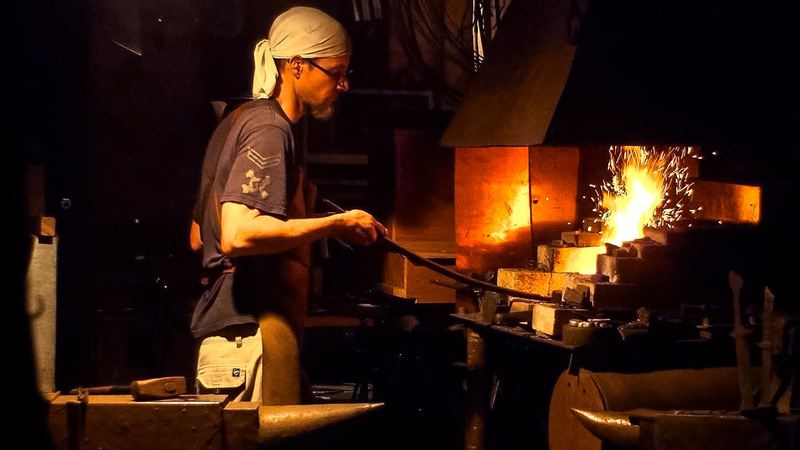 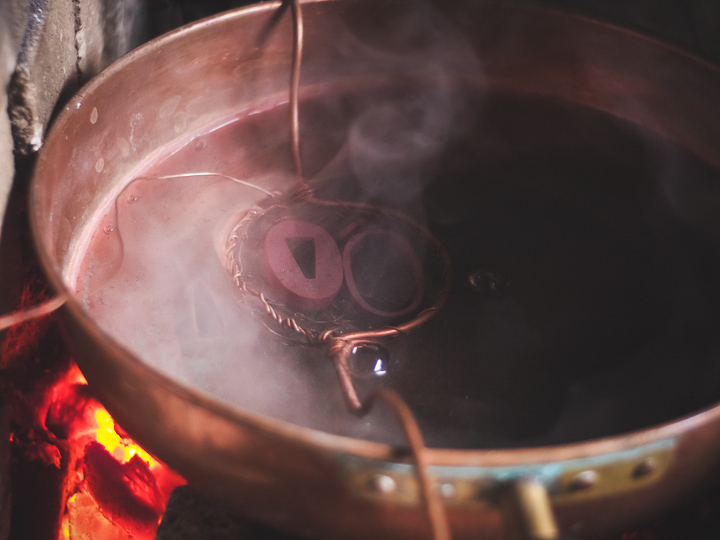 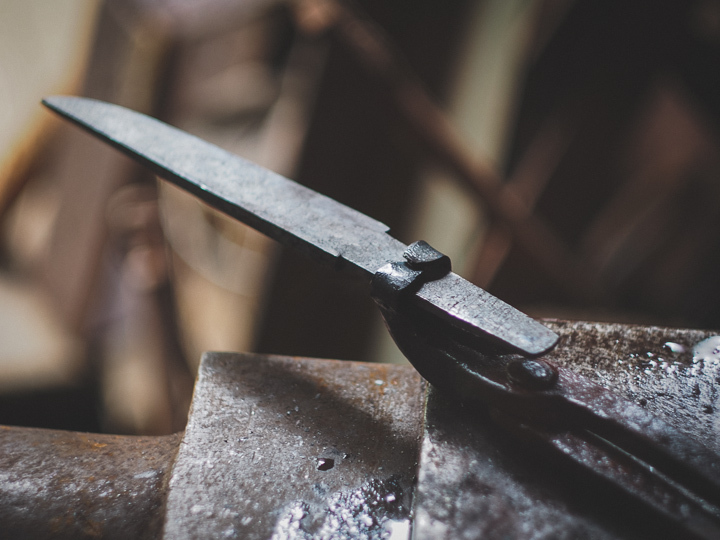 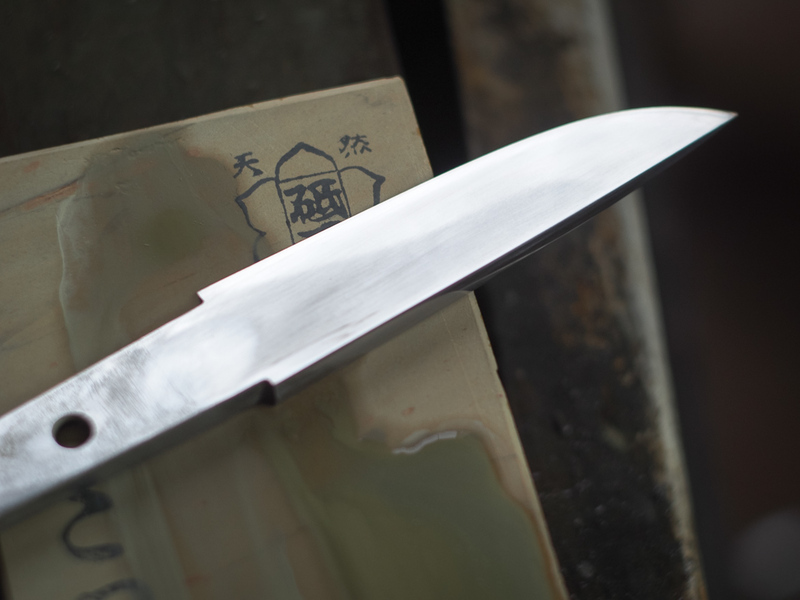 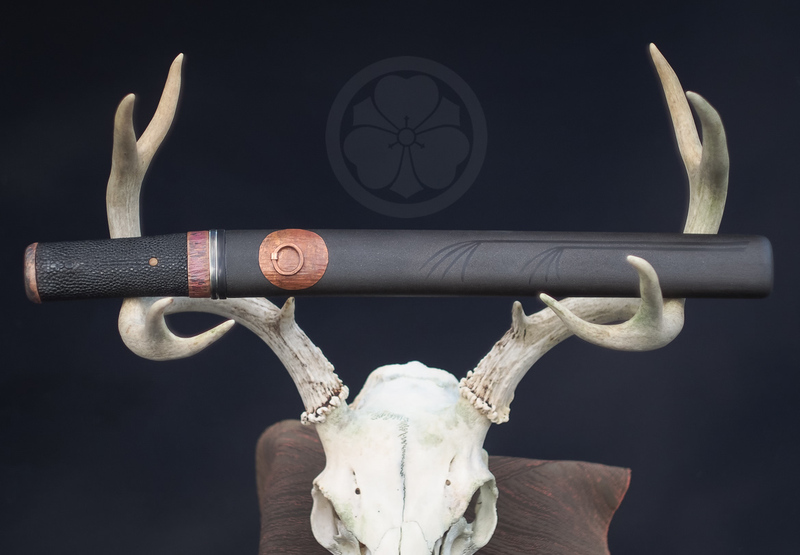 The traditional yaki-ire hardening method using natural clay, charcoal, and rainwater can be risky but produces a hard cutting edge and a tough spine within a single piece of carbon steel. 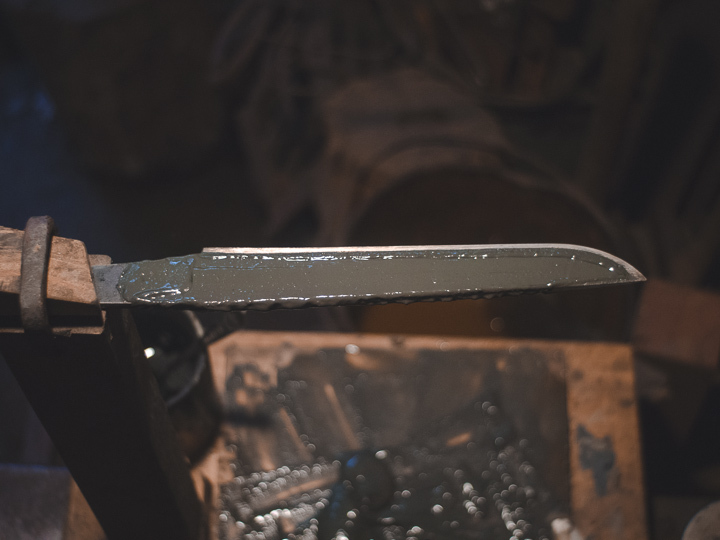 After the clay layer has dried, the blade is slowly heated to the colour of the august moon and then plunged into water. 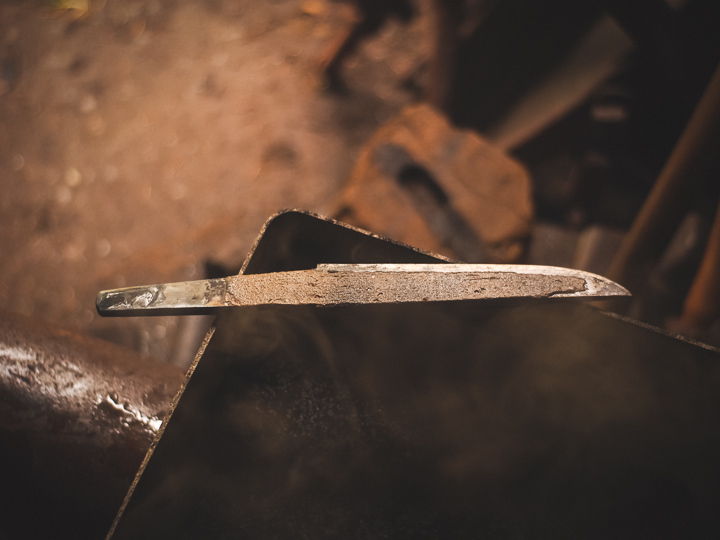 The exposed edge cools more quickly and forms a very hard steel structure. 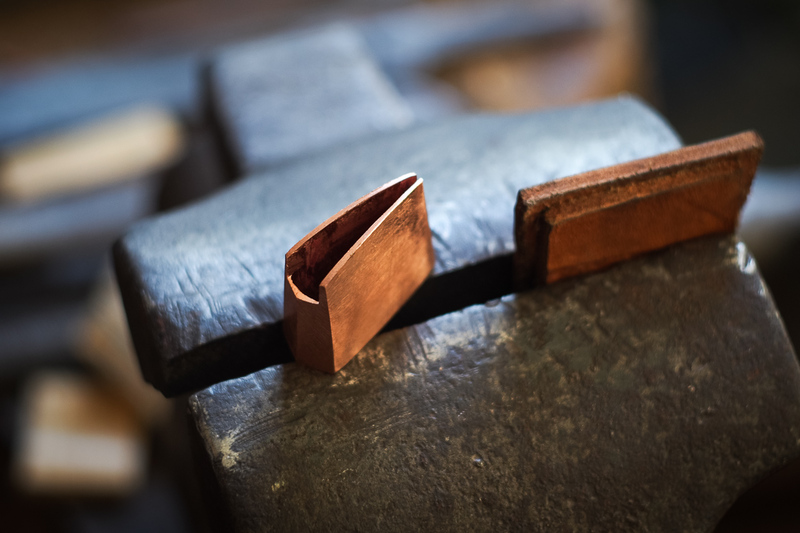 Reclaimed copper from electrical bus bars is very pure and forges well. 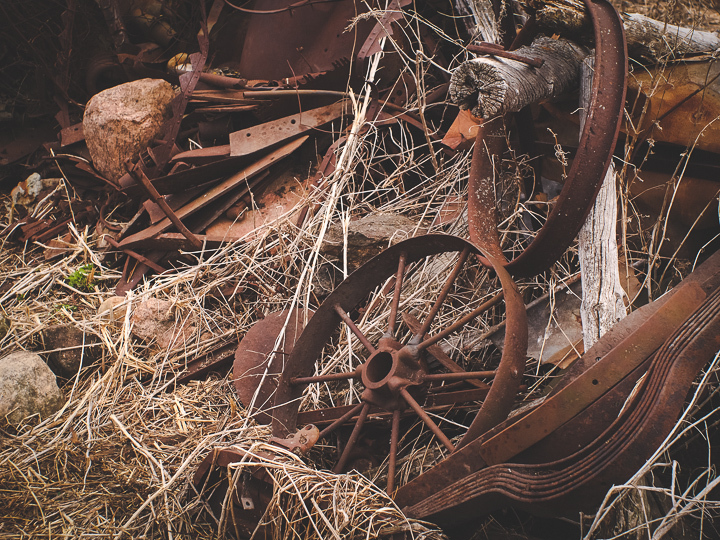 Other materials include wrought iron salvaged from the sea, reclaimed brass door plate, and scrap copper water pipe. 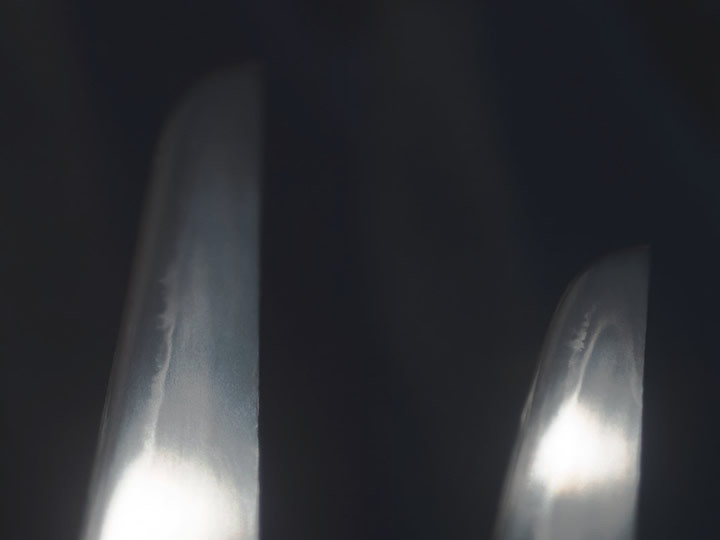 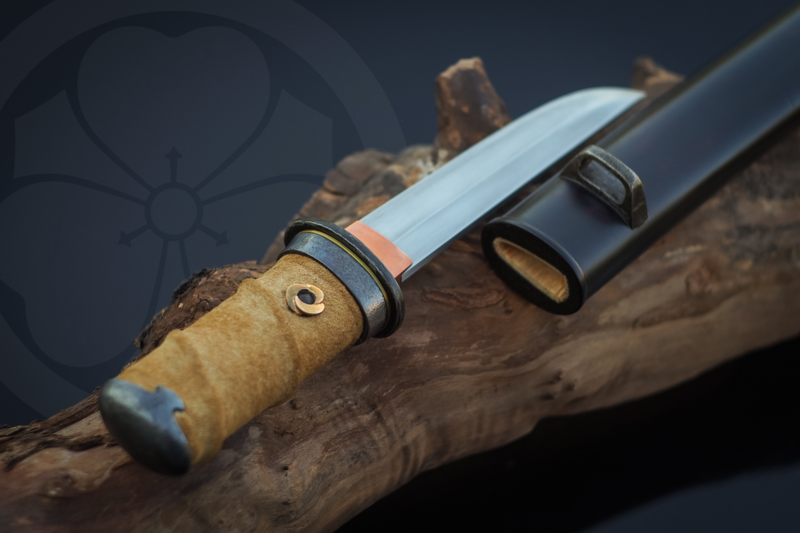 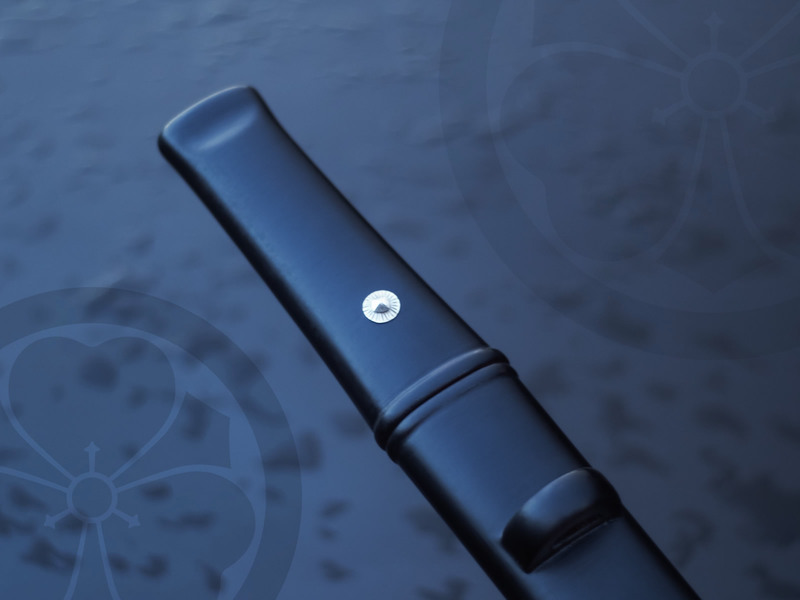 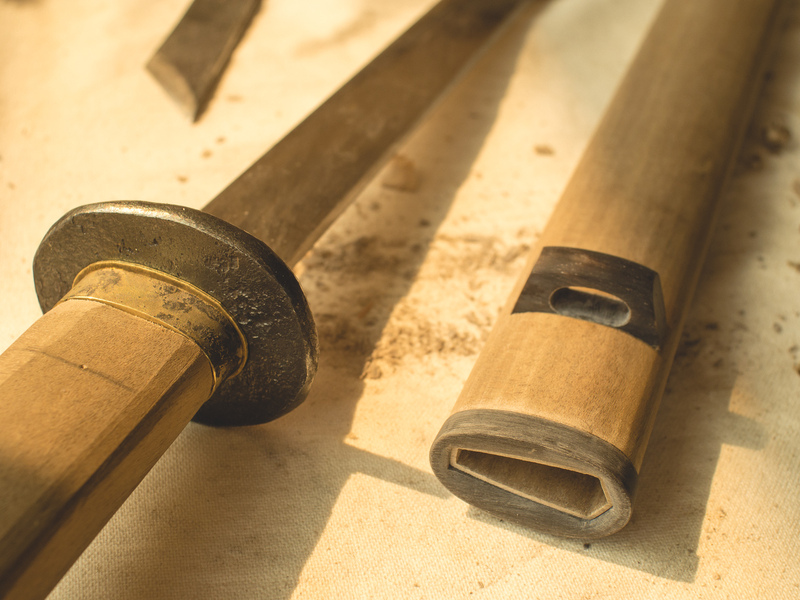 Because the entire knife is held together with a single bamboo peg in the style of classical tanto, each metal and wood component must fit accurately on the tang of the blade. 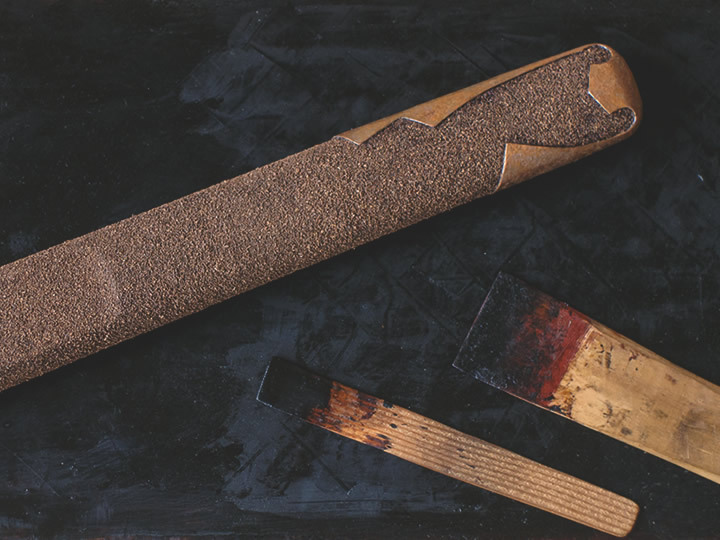 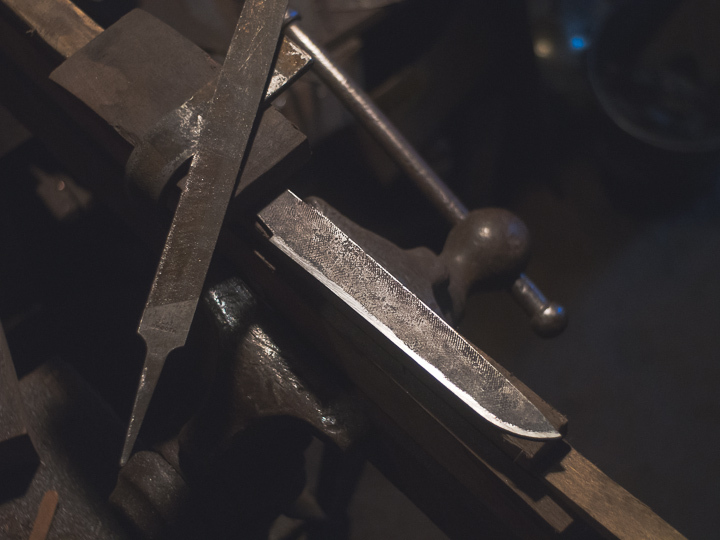 Once the halves are rejoined, shaping and finishing the exterior of the Hounoki core is done with Japanese hand saws, planes, chisels, rasps, and kiridashi knives. 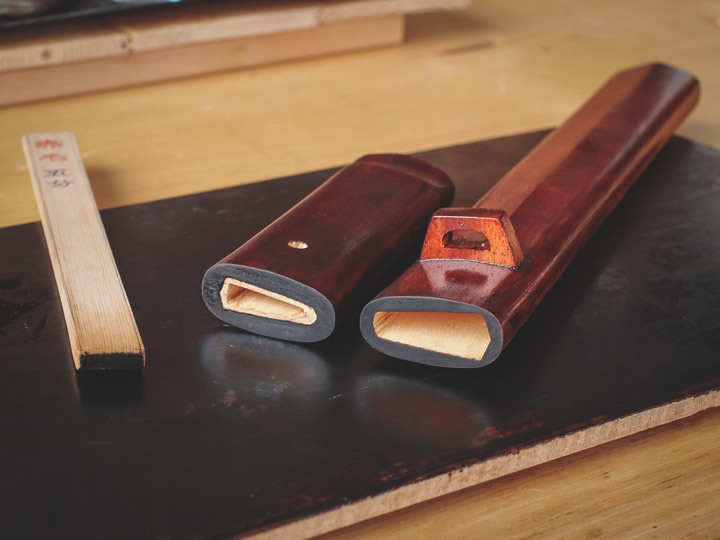 The first layers of urushi lacquer are applied thinly and wiped off to seal the wood until fully cured. 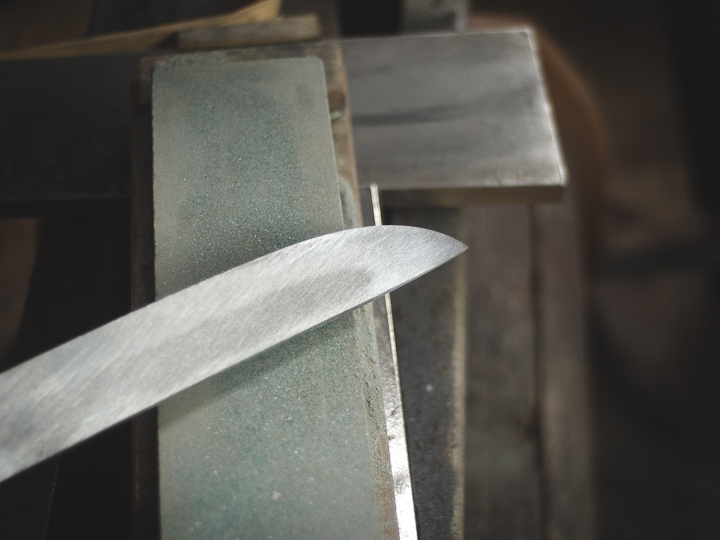 Each layer is cured for several days and then polished before the next is applied. 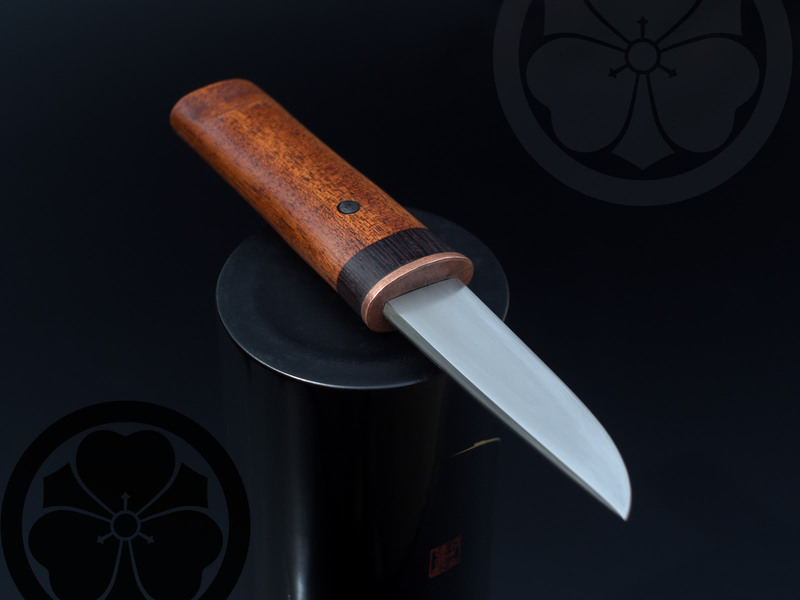 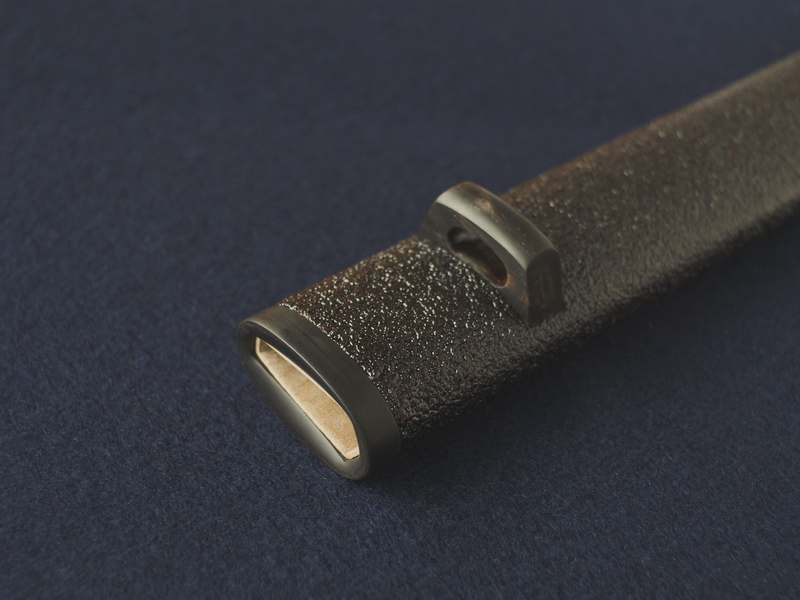 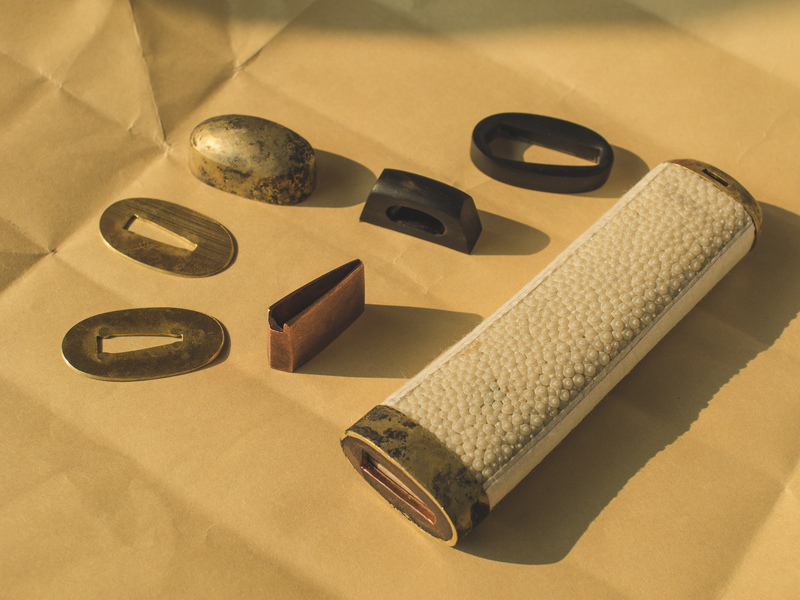 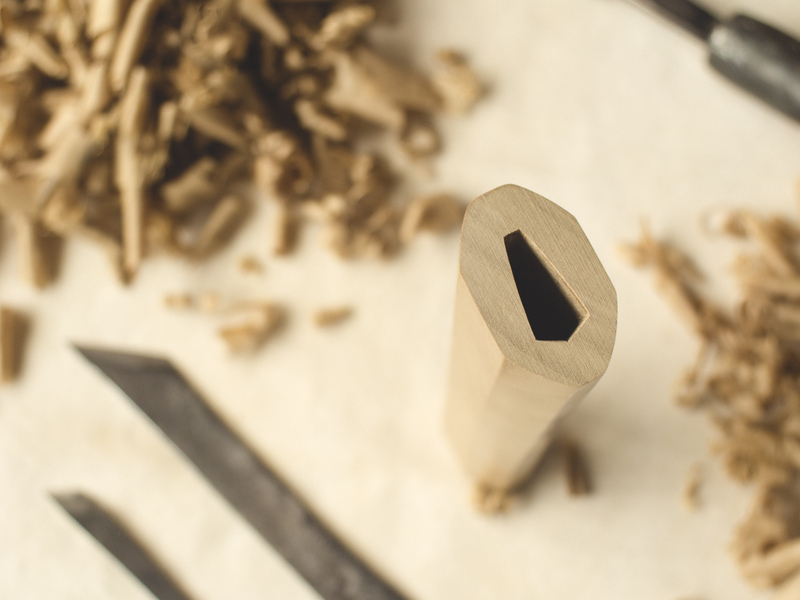 For an ishimeji stone finish, crushed dried tea leaves are sprinkled into the wet urushi. 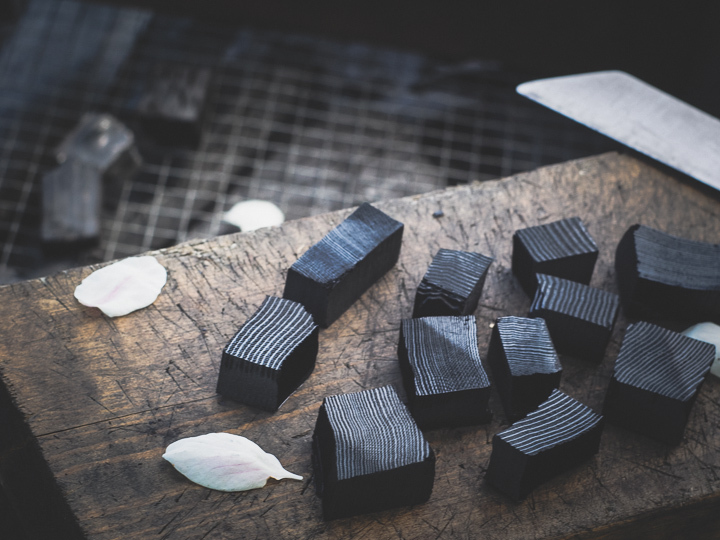 After curing for several days, the tea leaves are sealed and strengthened with more lacquer. 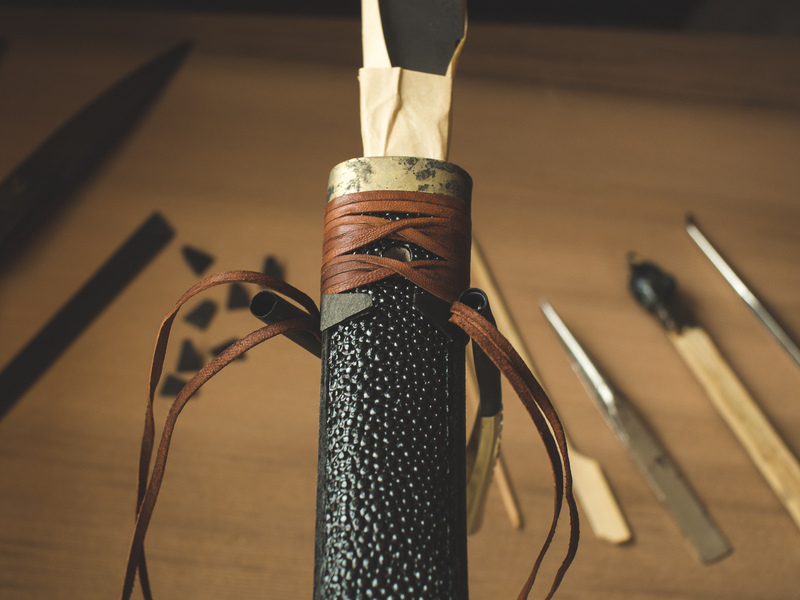 A full tanto mounting may contain ten or more parts made from twenty or more components. 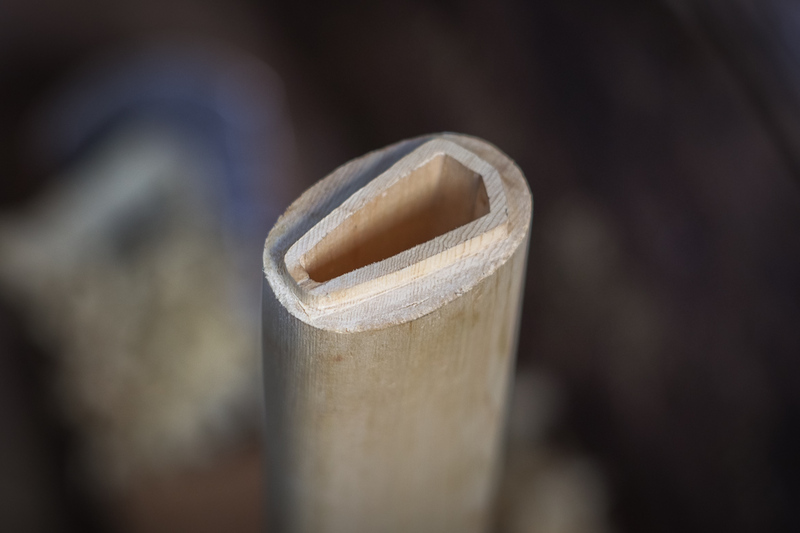 Most of the parts are fit together only by friction and locked in place by the bamboo peg. 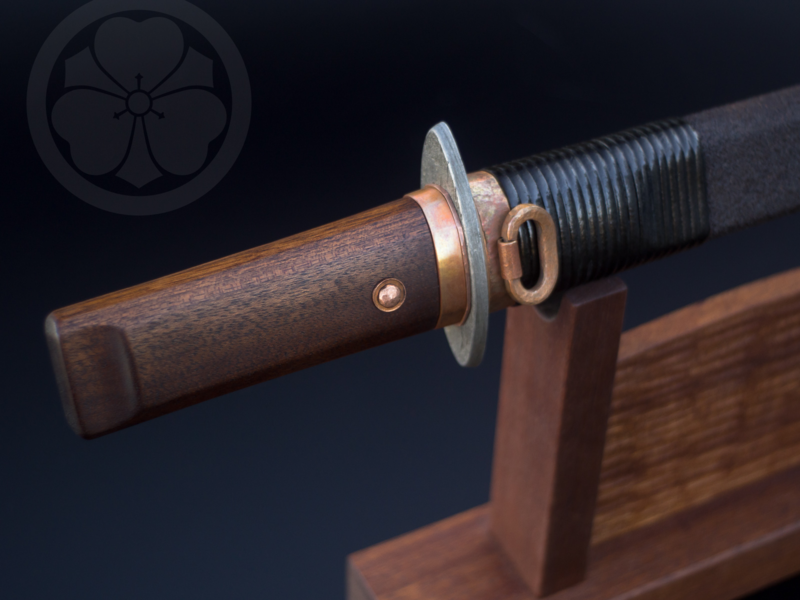 The major components of handle and scabbard are assembled. 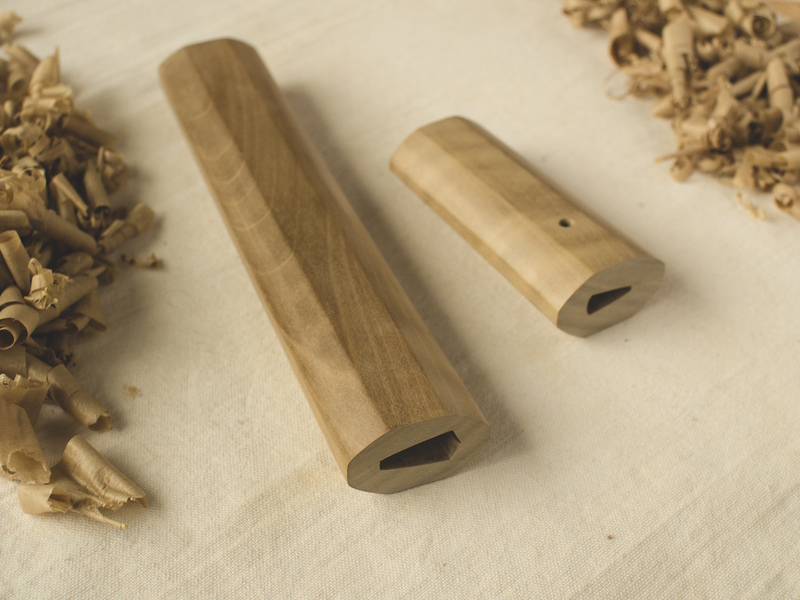 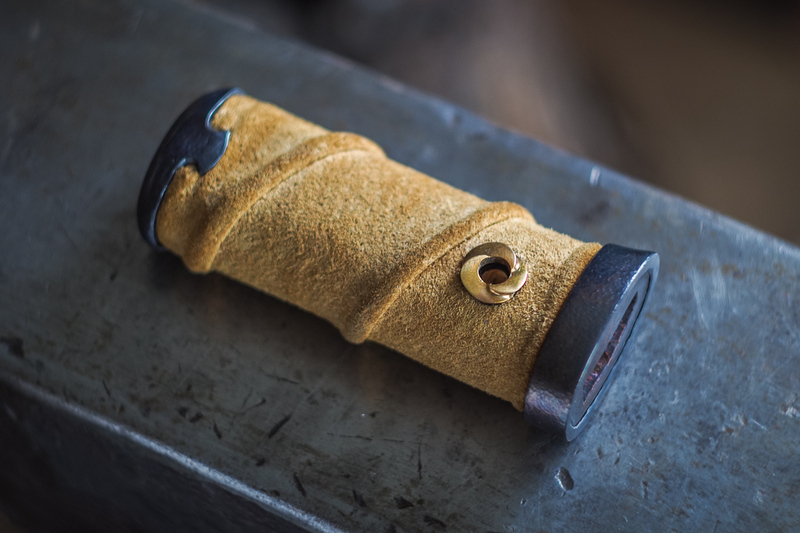 A combination of wood, rawhide, and tightly wrapped leather or cord strengthens the handle assembly.